For the Love of Miniature Roses . . . Although I am very fond of winter, at this time of year, I confess that my indoor garden is a great source of pleasure. There’s something undeniably delicious about waking up to the sweet scent of roses on a cold morning. 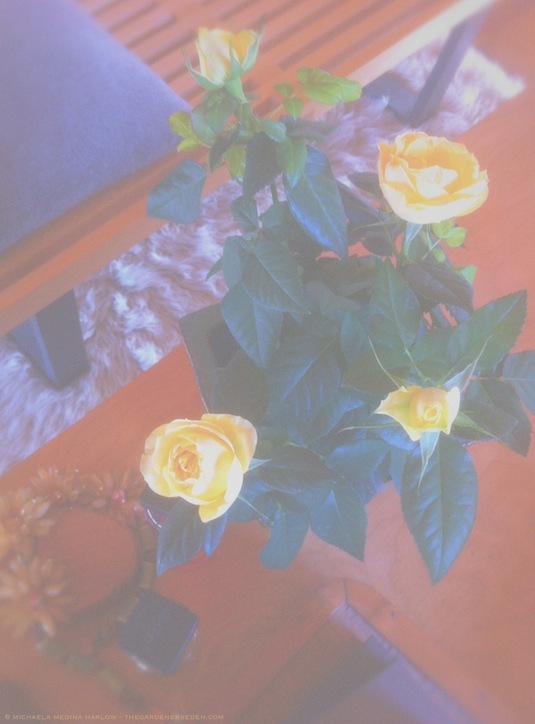 Buying fresh flowers is part of my winter shopping routine, but I rarely purchase cut roses. Instead, I opt for miniature rose plants, which are usually much less expensive (less than ten dollars this week at my local florist), and when properly cared for, much longer lasting. And with Valentine’s Day just around the corner, they make a beautiful, living gift! In spring, after the last frost, these cold-hardy beauties can be moved outdoors, where they will thrive for many years (protect with a mulch mound at root zone, as you would other hardy roses, in winter). 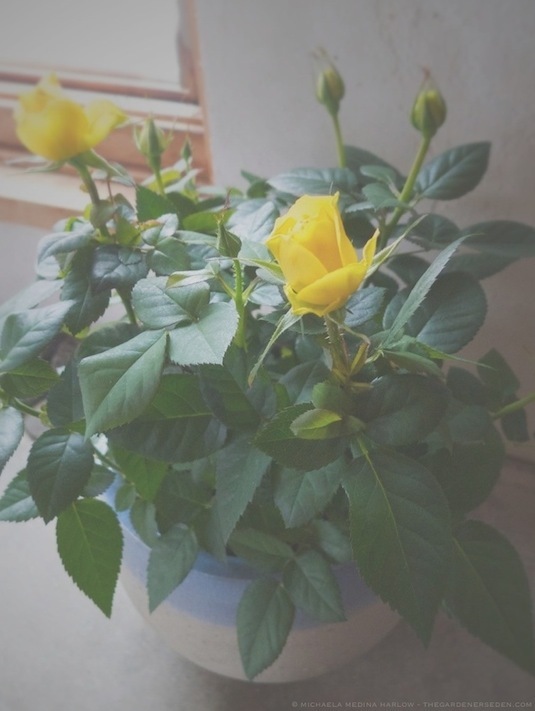 A few simple tips for success growing miniature rose plants indoors . . .
Miniature Roses on My Dressing Table – Permission is Granted to Move Your Roses Around Daily, as Suits Your Nose! You are currently browsing the Miniature Roses category at The Gardener's Eden.